It's important to show your school spirit even when things are looking blue. 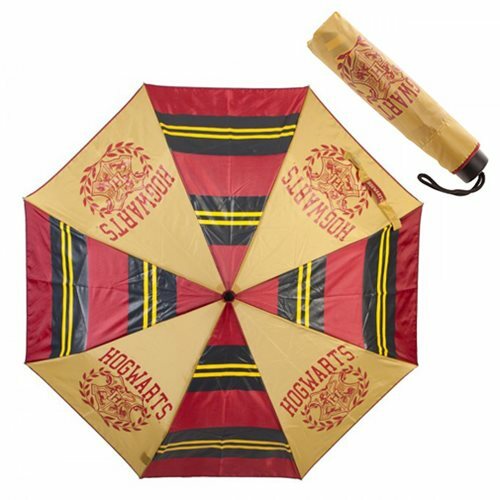 Show some Hogwarts pride, even when it rains, with this Harry Potter Hogwarts Panel Umbrella. Prominently displaying the Hogwarts school crest and colors, this umbrella is sure to catch the attention of fellow Harry Potter fans, as well as those impressed by its unique design.